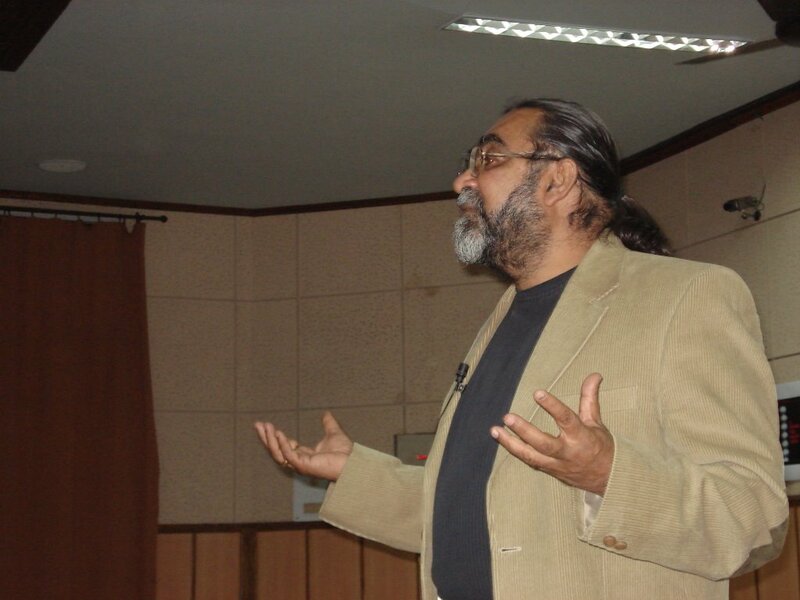 Challenge the status quo, trust your instincts and dream big … Prahlad Kakar, the renowned Ad-filmmaker and CEO, Genesis Films told the students of XLRI, Jamshedpur during the Ad workshop conducted by him on campus on Saturday, 17th February, 2007. Mr. Kakar is the chief mentor for the Knowledge Centre launched by the Marketing Association of XLRI (MAXI), a one of its kind marketing database in India. 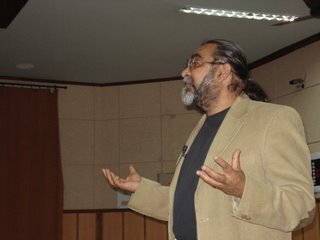 The ad-server part of the Knowledge Centre was inaugurated by Mr.Prahlad Kakar. He also shared his personal collection of 5000 advertisements during the same. The Knowledge Centre, which is one of first of its kind in India, aims to become a one stop destination for top quality articles, news and current happenings and discussions. 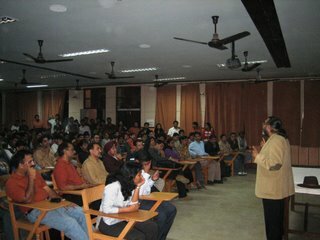 The discussion forum, which at the moment is only for students of XLRI, would be open to the outside world in the next stage of implementation. The forum then is expected to be a center-stage for discussions amongst the best brains in the academia, corporate and the students. Other mentors of the knowledge center include Ms. Ingrid Srinath (CEO CRY) and Mr. Kavi Kumar (CEO Indiabulls securities). During his interaction with the students and faculty, Kakar talked about the exciting and challenging world of advertising, giving them useful insights from his experiences in this field. Advertising is all about selling your dreams; it is not a game of the mind but of the heart. Most campaigns that have worked are by accident, the theories come only in hindsight. The best ads may not be the most successful ads, most successful ones are only those that sell the products. These were just a few of the thoughts shared by him. He talked about the simple rules that go behind creating a successful ad. An ad mirrors society, it is a reflection of consumers’ dreams. Create a personality for your brand, portray it as your child having feelings and emotions, for it to be successful. It is important to be ethical, you can only tell a lie once, you cannot fool a consumer twice. He further discussed about the lack of research on impact of ads on children and how no regulations are in place to check this. A doyen of the advertising industry and the maverick that he is, Kakar was a source of inspiration to young and aspiring managers at XLRI. He challenged them to question conventions, make their own rules, for this is what it takes to rise above the normal, and to be “special”. Mr. Kakar shared the stories of the various advertisements created by him, the portfolio ranging from Pepsi to Kitkat, Maggi Hot and Chilli sauce and to his very famous and successful 7up ad featuring Mallika Sherawat. Talking to the newspersons, Mr Kakar said that he is extremely happy that XLRI and MAXI took this initiative, which is of utmost relevance to a b-school education. He wished this initiative utmost success.